View our NEW Elopement Packages! 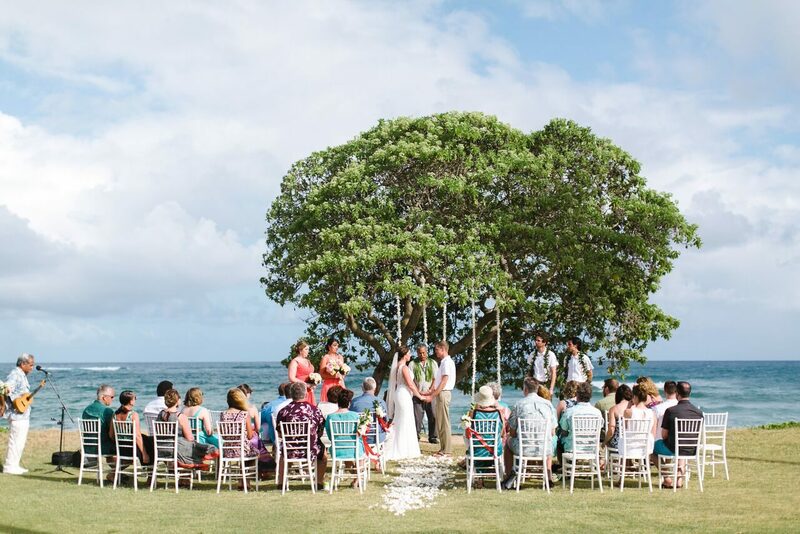 This location offers a full ocean view ceremony site at the Kauai Coast Resort in Kapaa behind the Coconut Marketplace. 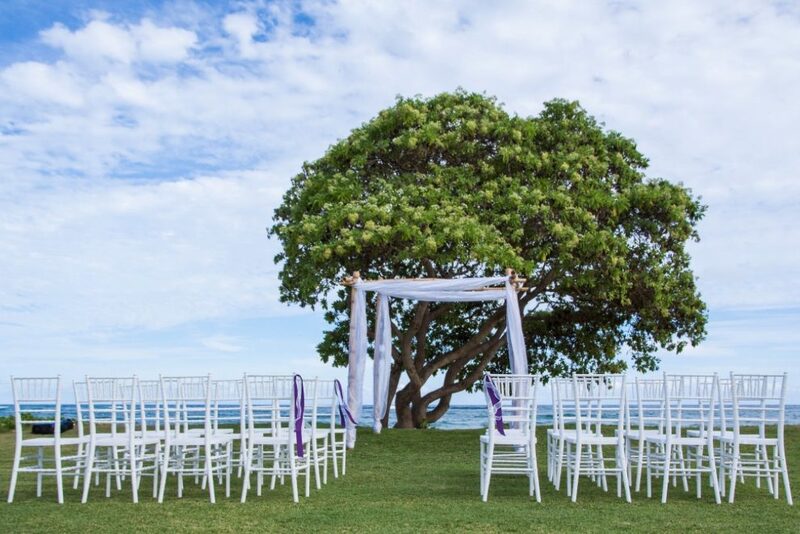 Hukilau Lanai will provide chairs for your ceremony on the lawn that boarders the shore with an open, breezy atmosphere in a comfortable setting. 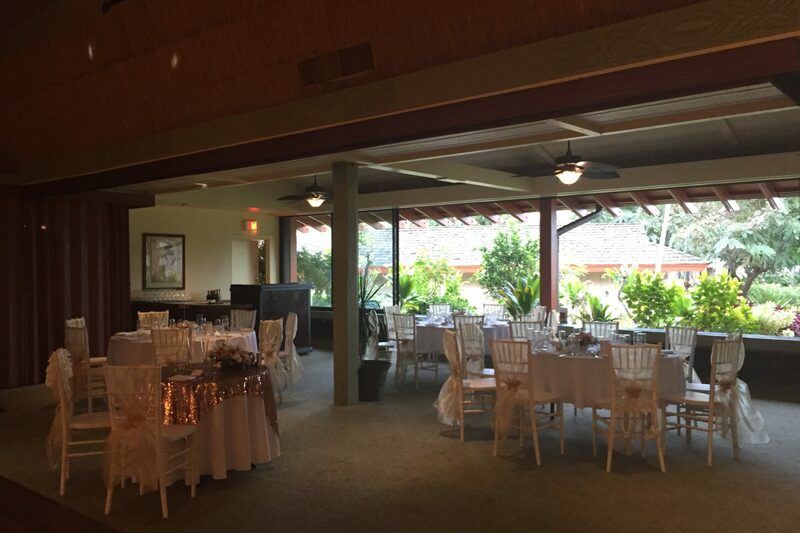 This is also a great place for a reception dinner on Kauai’s East Shore. The restaurant offers a private room with a dance floor that holds up to 85 guests and is perfect for an intimate experience with family and friends. A nice choice for those wanting their ceremony and reception at the same location. Hukilau (“who-key-louw”) in Hawaiian means to pull rope. This ancient Hawaiian tale, tells a story of how a group of people worked together to ultimately pull a large net full of fresh catch from the ocean. 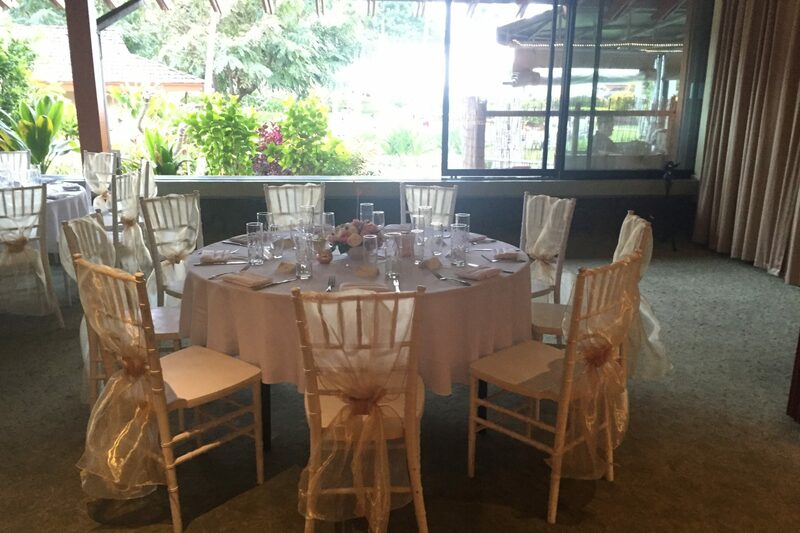 Similar to this story, we work together with Hukilau Lanai to create your Kauai dream wedding. Note: Please fill out our Wedding Proposal Request form if you wish to receive a price quote!